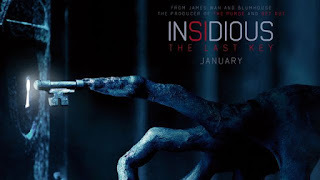 Insidious: The Last Key (PG-13 for violence, terror, disturbing content and brief profanity) 4th and final installment in the horror franchise finds occult investigator Elise Rainier (Lin Shaye) facing paranormal activity in her own home. With Leigh Whannell, Angus Sampson and Kirk Acevedo. Anatomy of a Male Ballet Dancer (Unrated) Reverential biopic about Marcelo Gomes, the Brazilian ballet star who danced with the American Ballet Theatre for the past two decades (until resigning from the company on December 21st of this year after being accused of sexual misconduct. 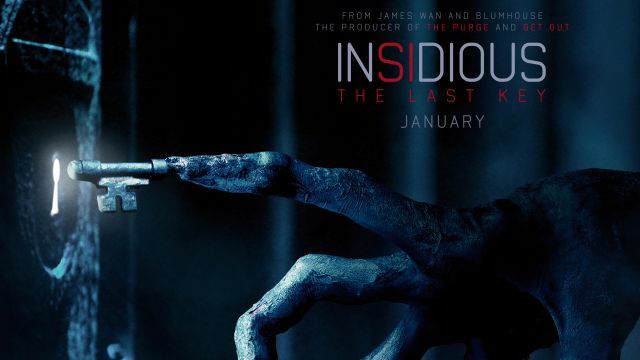 Before I Awake (PG-13 for violence, terror and disturbing images) Horror flick about a couple (Kate Bosworth and Thomas Jane) whose recently adopted, 8 year-old son (Jacob Tremblay) comes with some scary baggage triggered by nightmares. With Annabeth Gish, Dash Mihok and Jay Karnes. Blame (Unrated) suspense thriller about a substitute high school teacher (Chris Messina) who is disgraced after a jealous pupil (Nadia Alexander) spreads word of his clandestine affair with another one of his students (Quinn Shephard). Featuring Geneva Carr, Tate Donovan and Trieste Kelly Dunn. Dark Meridian (Unrated) Crime thriller, set in New Orleans, about a police detective (James Moses Black) and a murder witness (Dave Davis) who join forces to apprehend the ruthless killer threatening both of their lives. With Billy Slaughter, Jody Mullins and Paul Rae. Project Eden: Volume 1 (Unrated) Sci-fi thriller revolving around a young woman (Emily Fradenburgh) and a former military officer (Peter Christian Hansen) who end up on the run from the FBI after uncovering proof that their kids' catatonic state is part of a global conspiracy. With Mike Dopud, Erick Avari and Cliff Simon.